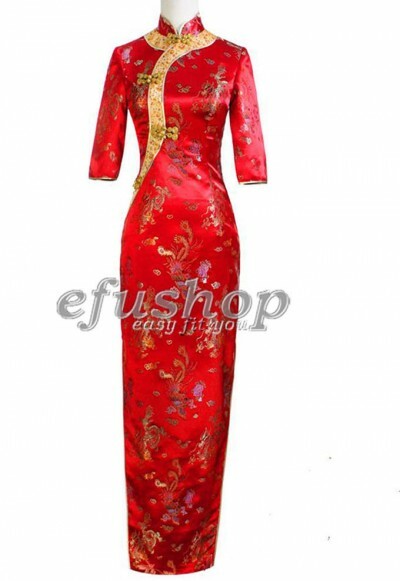 Classical red silk brocade cheongsam dress with coloful dragon and phoneix pattern on. 3/4 sleeves. Mandarin collar. Right side opening.Back zipper. Double piping. Double slits.Gourd buttons. Full length. Classical wedding dress.Fit to wear in wedding days.